Work Anywhere. Protect Your Data Everywhere. Office 365 lets employees work anytime, anywhere. This is resulting in creation of ever-increasing amounts of information that must be protected. And this applies to all industries, not just regulated ones. Yet native O365 data protection and add-on solutions lacking enterprise-grade capabilities have proven inadequate for meeting data retention and compliance requirements. Cohesity DataPlatform is different, simplifying data protection for Office 365, first starting with Exchange Online. 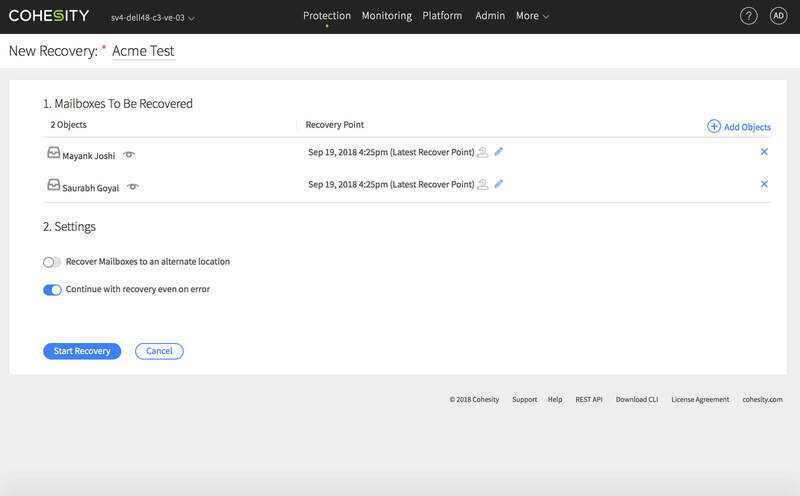 Mitigate security risks and improve recovery processes with Cohesity's superior, end-to-end backup and recovery of Exchange Online mail and mailboxes. Seamlessly register Exchange Online sources, discover mailboxes and select those that need to be protected. Automatically protect any new mailboxes added to an O365 Online Exchange account. Search and select mailboxes for backup where the mailbox names have a matching text string. More than half of all businesses today are using Office 365, marking a dramatic shift for this traditional enterprise applications suite from on-premises to the cloud. 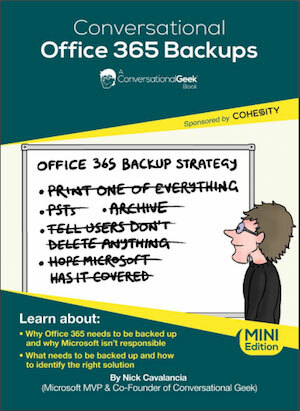 Find out why Office 365 data is a business asset and should be included in your backups, and the failure to backup O365 data so can lead to major outages, lost time, and lost profits. By 2022, 75% of organizations that outsource email and collaboration tools won’t meet their critical recovery objectives during a supplier outage. Leverage Cohesity to efficiently contain and recover from data loss scenarios. Recover entire mailboxes, or search and restore individual emails in couple of clicks. Ensure access to mailboxes during restore. Search for individual emails according to different criterias and restore the selected ones in couple of clicks. Restore to the original or an alternate location from a desired point-in-time copy.Gain instant email-level search and download emails to the local host. Looking to Protect Office 365 with Cohesity?